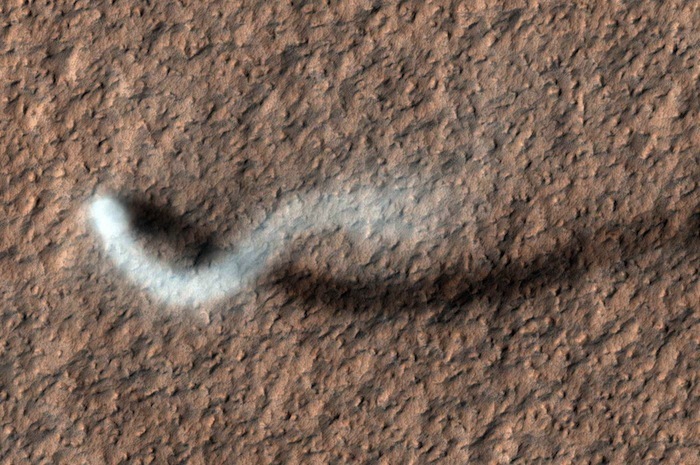 Dust devils on Mars are whirlwinds that form the same way as dust devils on Earth. But on Mars, their paths can be traced by the dark tracks they leave behind. Some tracks run in roughly straight lines, while others curve, and a few even make curlicues. The track's shape is set by the movement of the dust devil. The reason the tracks are dark is that a dust devil, as it passes over the ground, sweeps up and blows away the light-toned dust that forms a thin coating on the ground over nearly all of Mars. This exposes the bare ground underneath, which is often dark lava or basalt rock. But while dust devil tracks long outlive the whirlwinds that formed them, they still disappear rapidly on a geological time scale. As days and months pass, dust continues to settle out of the atmosphere onto the surface. 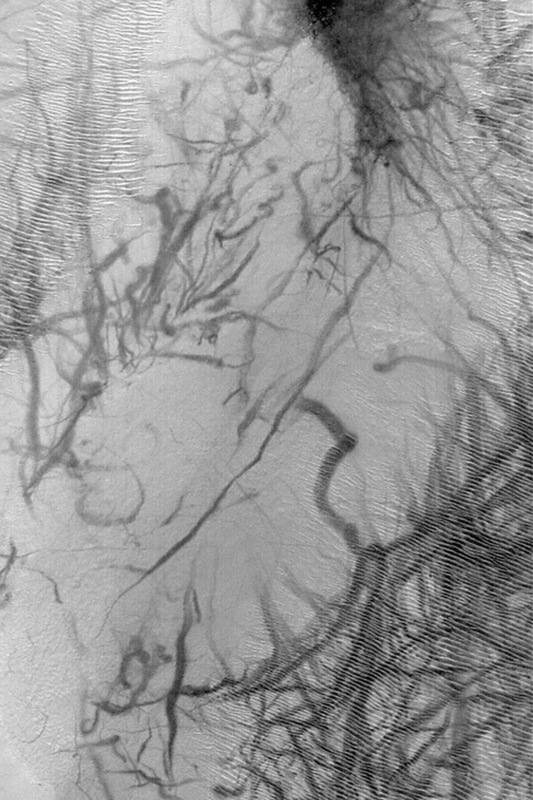 After a Mars year or less, most dust devil tracks have disappeared or will do so shortly.